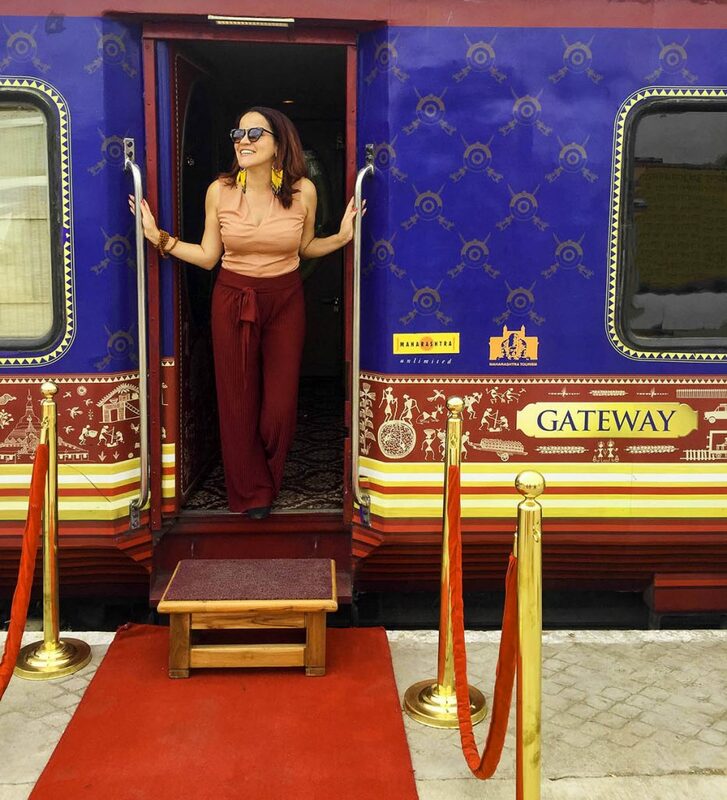 My first time visiting India couldn’t have been more grand, for I’ve experienced the true meaning of “traveling in style!” When I first got invited by Incredible India and the Ministry of Tourism of India to travel aboard one of their top luxury trains (top not only in India, but in Asia), I was truly excited. 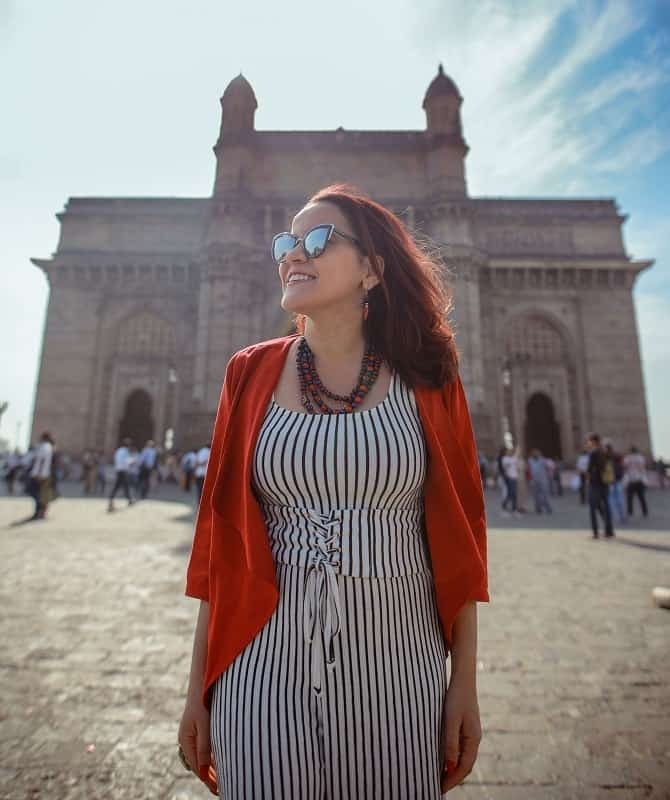 In the first place, I’ve always wanted to visit this country (but, as a female, I was always hesitant about traveling around India on my own) and secondly, because train travel has always looked so amazing in the classic movies that I loved to watch with my mom! I thought that this was as good an opportunity as any to experience India for the first time. 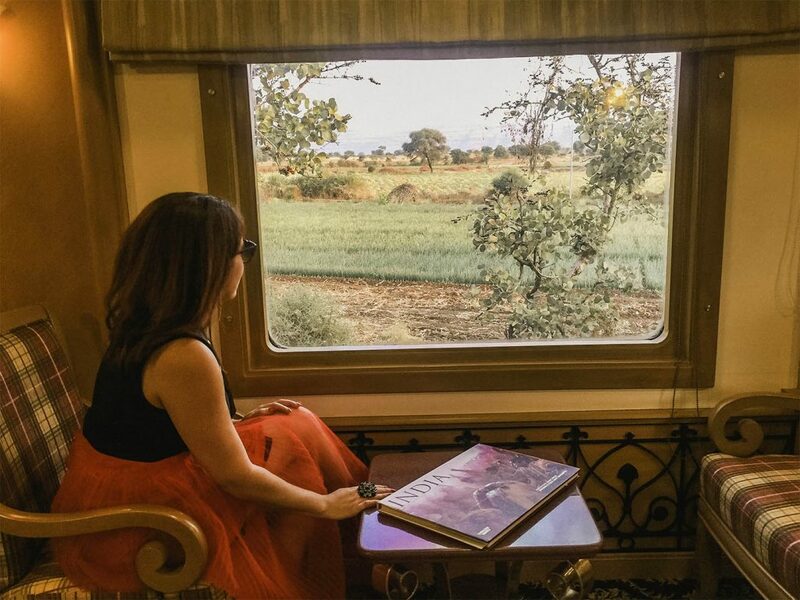 I couldn’t wait to explore a totally different, off-the-beaten-path route through India, aboard The Deccan Odyssey luxury train (the most luxurious train in India) and, more importantly, to do it in the safest way possible. 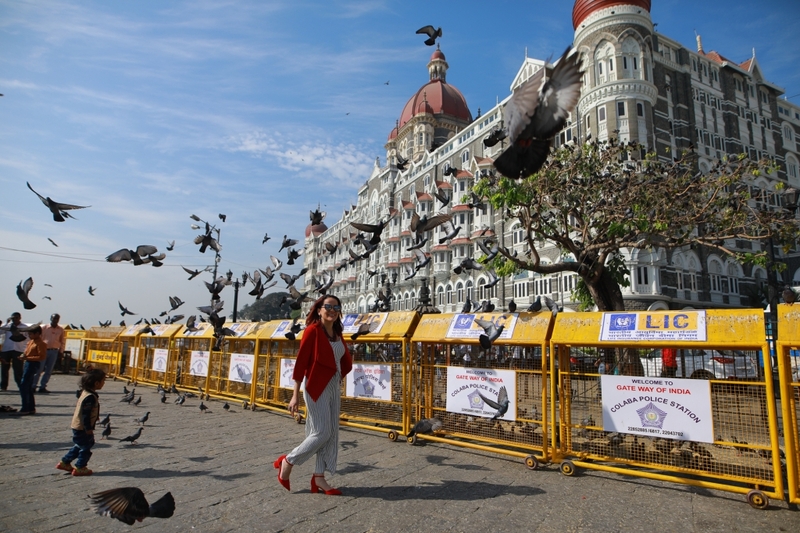 But, after 5 weeks in India, those thoughts about solo female travel changed completely…more on that in another post. Well, when I first embarked on this adventure, I certainly wasn’t thinking in terms of ‘Slumdog Millionaire’ or ‘Murder on the Orient Express‘… maybe something in between. Ironically, while on my flight to Mumbai, I was actually watching the current release of the latter movie. Anyhoo, after 8 days of train travel, I can tell you that it was luxury all the way on The Deccan Odyssey train. 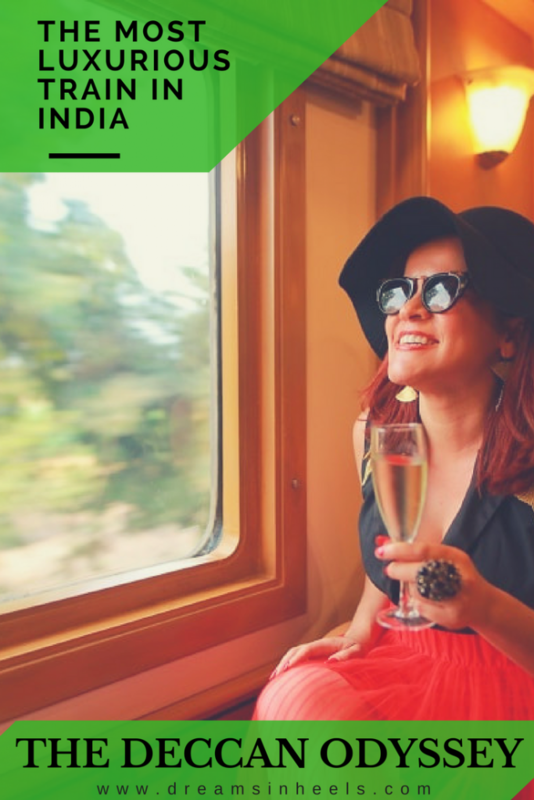 In this post, I would like to share my full experience aboard this majestic train, the most luxurious train in India. It wouldn’t surprise me if, by the end, you’ll want to plan your own adventure aboard. 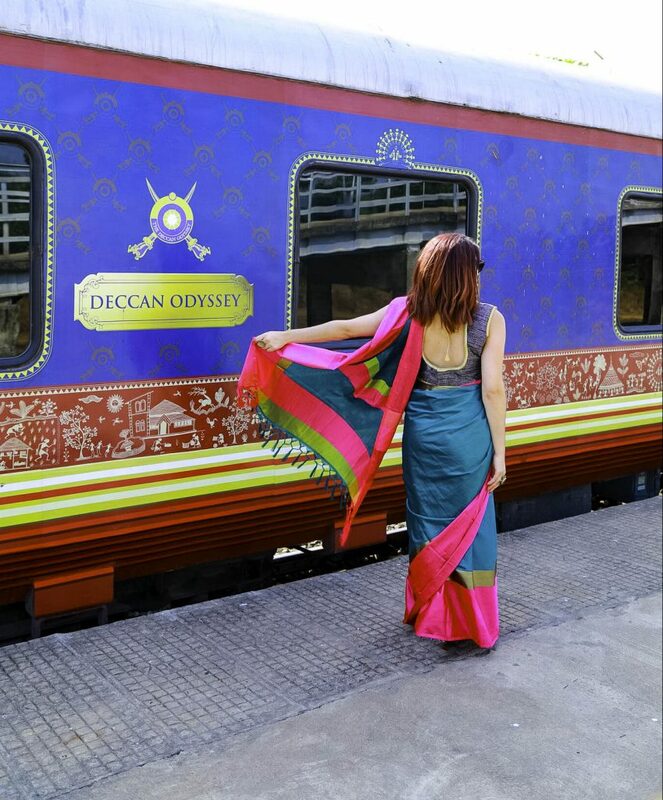 Fun Fact: The Deccan Odyssey has been awarded by The World Travel Awards as Asia’s Leading Luxury Train for the last 7 years (2010-2017.) Get ready to come aboard! Where do I begin? It all started once my flight landed in what would be the first stop of The Deccan Odyssey, Mumbai (which many people call Bombay). Bom bay means beautiful bay (which the Portuguese called Mumbai) and it was in this amazing and vibrant city that my adventure started. Mumbai is the NYC of India, so be ready for a fast pace experience, lots of traffic/people, but overall I fell in love with this city. It has so many hidden gems, amazing street food and markets…I guess the intense buzz of this city cannot scare a New Yorker. My luxury treatment started immediately when I was picked up at the airport by the people of Trinity Tours, who were the agency that took care of our local transportation, and arranging our accommodations while in Mumbai. 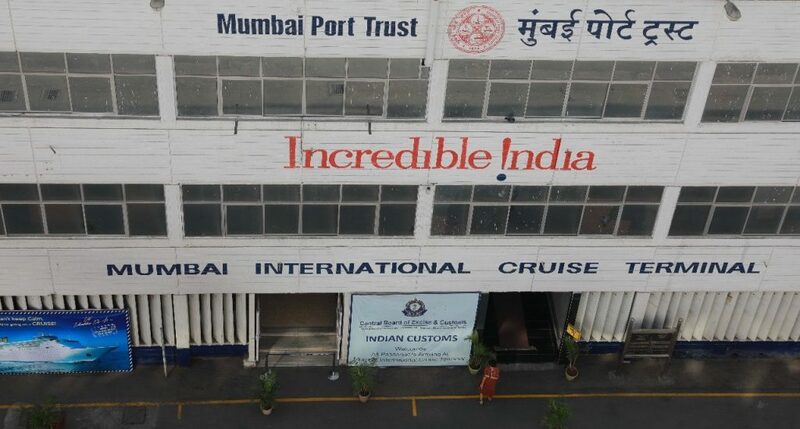 My first night before boarding the train, I stayed at the five star hotel called Trident, Nariman Point, Mumbai. 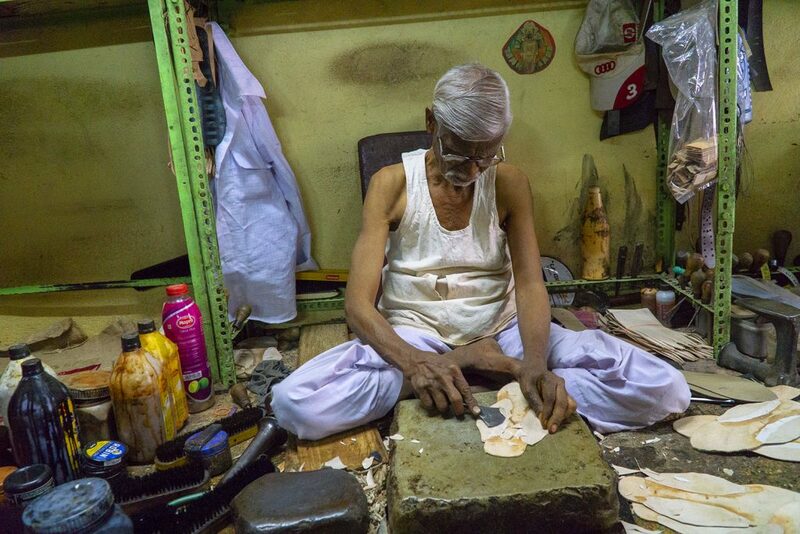 I also went to explore and enjoy the top things to do in Mumbai but more details on that will appear in another article. 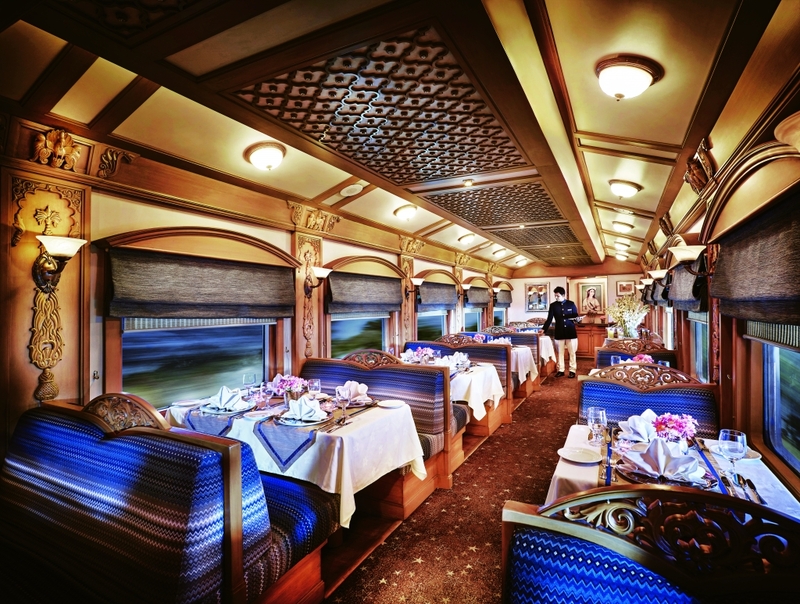 2 What are the rooms like aboard the most luxurious train in India, The Deccan Odyssey? 5.0.2 How much approximate is the train cost? 5.0.3 What is included on the train cost? 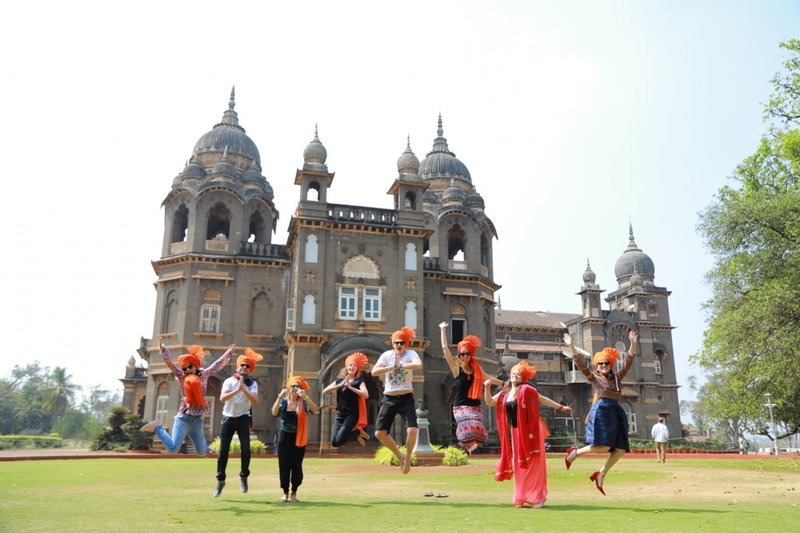 Now, let’s get straight to The Deccan Odyssey journey. It all started with a grand welcome ceremony for all of the passengers. Some of the best aspects of this train is definitely the welcoming red carpet, the personalized service, the arranged performances and beautiful interactions with locals that you get at each train stop. 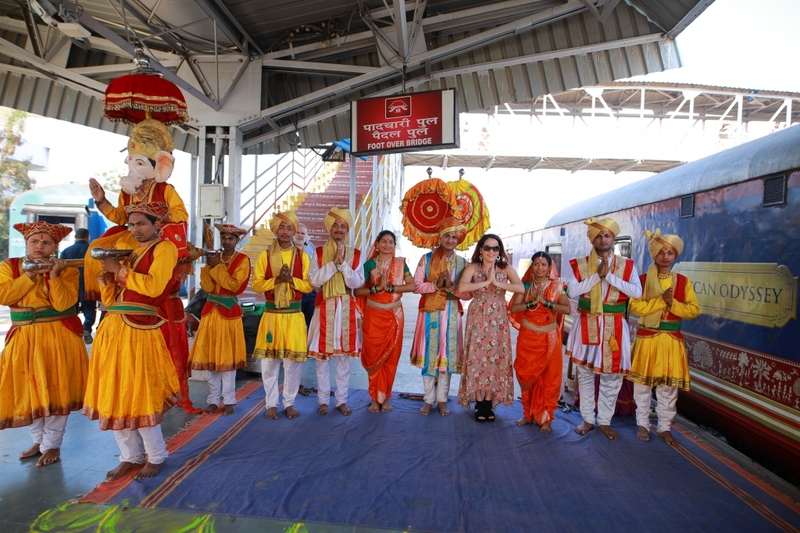 I felt so spoiled when I arrived at the famous Chhatrapati Shivaji Maharaj Railway Terminus (formerly known as Victoria Terminus), a UNESCO World Heritage Site in Mumbai, because the red carpet was rolled out for us, flower garlands placed around our necks, and vibrant dancers/musicians flowing with color and rhythm, performed for us. 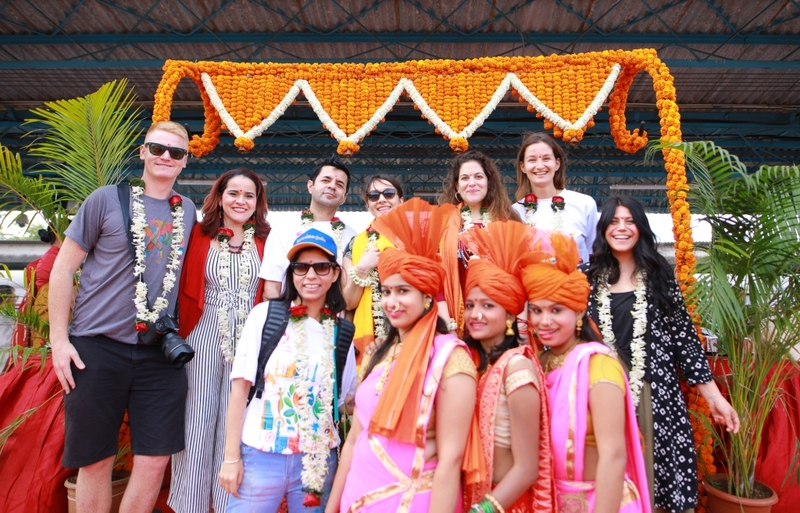 It was an unforgettable moment, a once in a life experience, to be welcomed this way to The Deccan Odyssey. As soon as we boarded the train, servers and staff for the week received us with refreshing natural juices and wine. A personal butler (or how I prefer to call them, room assistant) introduced himself and explained that he is at your service throughout the weeklong journey. All compartments/cabins of the train have one in order to make your stay more comfortable, so that all your needs are taken care of for you. They even give you a phone so that you are able to call him at any time. He then gave me a tour of the room, while introducing himself. 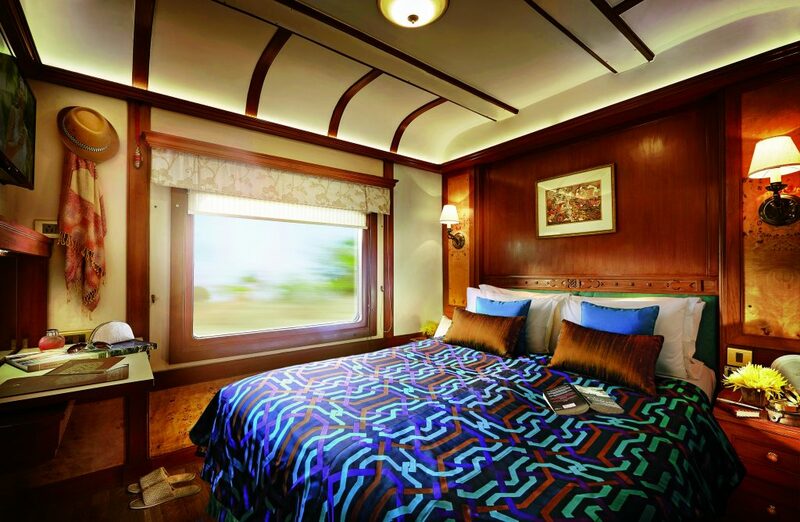 What are the rooms like aboard the most luxurious train in India, The Deccan Odyssey? The double occupancy rooms are small, but comfortable enough (for a train) for a weeklong adventure. You can store your luggage under your bed, and you also have closet space to hang your clothes. There are different kinds of suites from single to the regular, double occupancy ones to the presidential one; it all depends on your budget. Our train was very luxurious, especially by India standards. 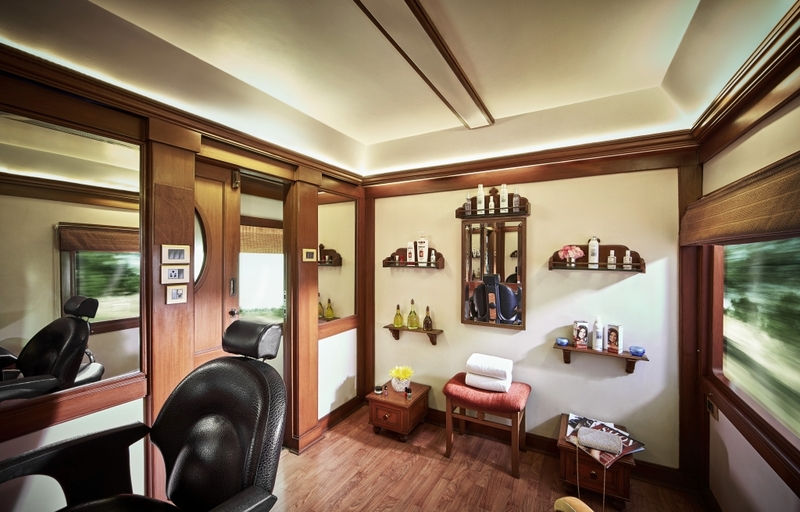 There are gym facilities, a game room, a spa, a beauty parlor and much more. Don’t worry fashionistas, you can get your dose of travel beautification when needed. And foodies are not forgotten. 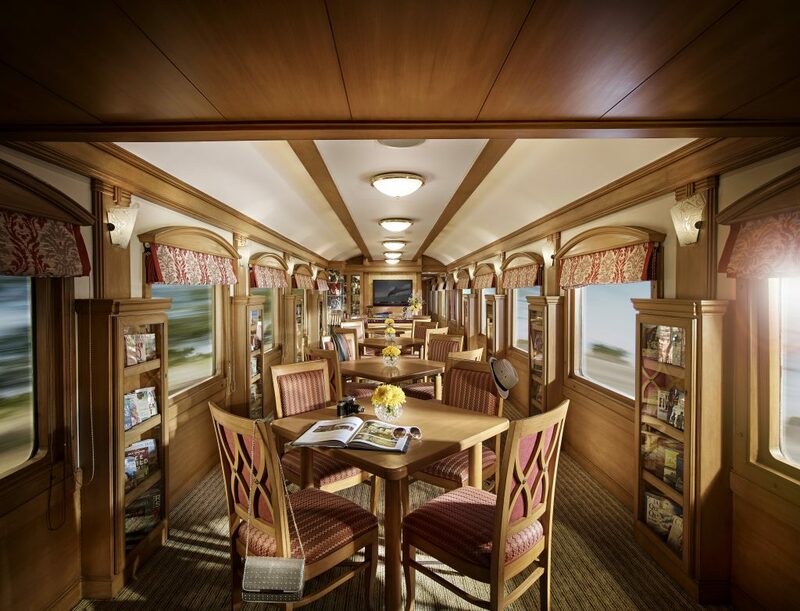 There are two dining rooms on board and one of our favorite spots, The Gateway car, is a bar. Our wonderful bartender always took care of all of our drinks, but really all of the staff always went above and beyond to satisfy our needs. One moment, at dinner, I asked for Tamarind Chutney and the server said, “We do not have it, but what’s your name and room number? Tomorrow, we will make it especially for you.” This is what I call excellent and outstanding customer service. Luxury treatment all the way! 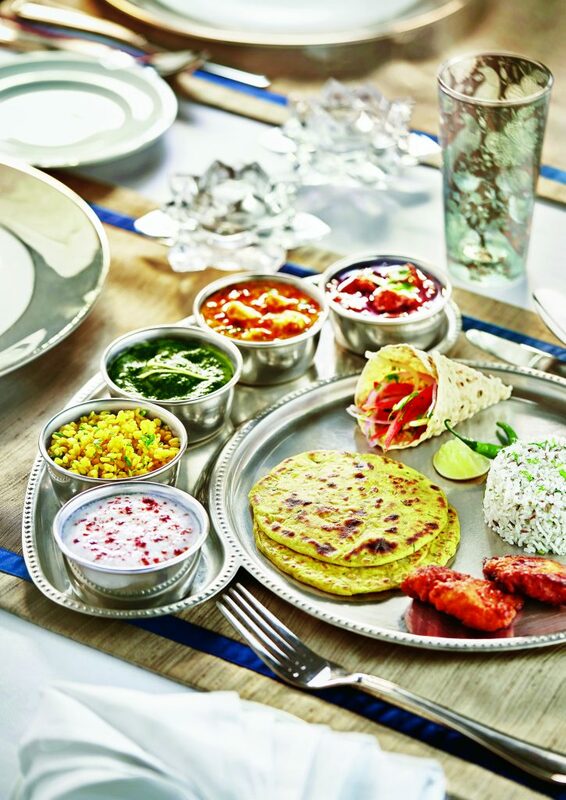 Good to note that there are options for everyone: Indian dishes, International Cuisine (Western Food), Vegetarian, Non-Vegetarian, Vegan, Gluten-Free or food can be especially made for you, depending your dietary restrictions and/or allergies. You can also request your favorite level of spicy-ness, from very Mild to Hot (up to you). This train ride (including the food) is totally personalized, so do not hesitate to ask. 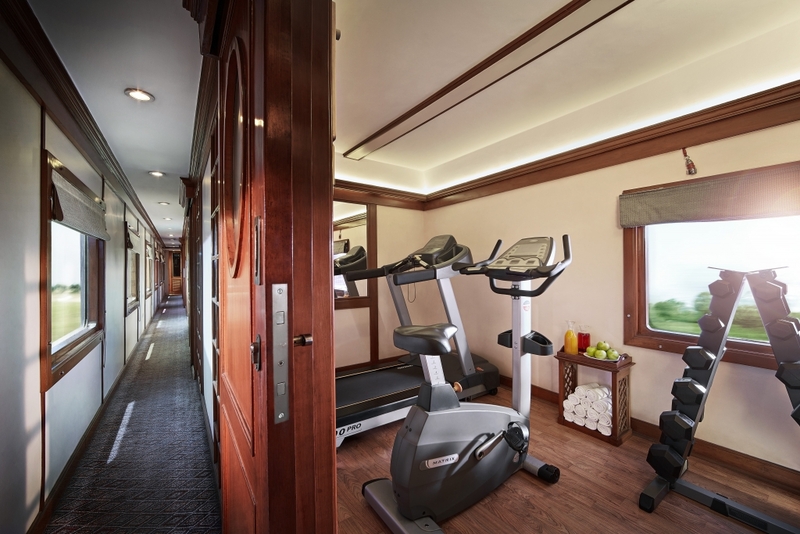 All train cabins and rooms have its own Wi-Fi, so you will need to change the connection depending on where you are on the train. The train is very long but convenient for you, since all of the connections have the same WIFI password. The Wi-Fi was mostly good and reliable while we were at a train stop, but when the train was traveling (especially during the nighttime), it was not the best or non-existent. It is definitely not the place to work or to be on social media all day. Consider it a place to disconnect and get unplugged a little. Note: At the Delhi airport you get a free sim card upon landing, but not at the Bombay airport. In order to get a sim card and plan, you need your passport, visa, and some passport size photos, and also you need to wait 24 hours for your plan to be active, so plan ahead! Our train route was a weeklong trip on ‘The Deccan Odyssey’, covering destinations in the States of Maharashtra and Goa. Note: The Deccan Odyssey has more than one route, so make sure to first study the itineraries and routes in order to pick the one that best satisfies what you would like to see. I personally enjoyed my route the best, because it was off-the-beaten-path. Most people, when they come to India, go immediately on the Golden Triangle one to see the Taj Mahal. While that is a beautiful route, in my opinion, it is easier to do it on your own or there are so many other options (since it is so touristic), such as hiring a driver, joining a group tour, public transportation and more. On the other hand, the train route we took is definitely harder to do on your own, because of the distance between places and how far many places were from the train stop itself. And, in some of the cities, we were the only tourists. It definitely was a very unique experience. Note: Keep in mind that the experience tends to be similar to cruises: you get to get off the train to explore a stop during the day and then you come back to the train either in the afternoon or early evening, depending on the schedule. These train routes are meant to cover the highlights and to give you a taste of different cities, in a short amount of time. 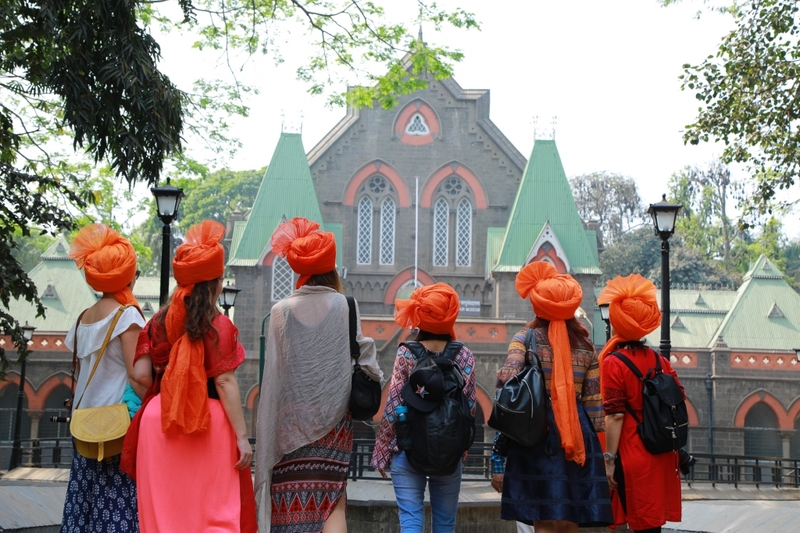 First, you arrive to the Chhatrapati Shivaji Maharaj Railway Terminus (formerly known as Victoria Terminus), station (an UNESCO World Heritage Site since 2014). In Mumbai, and as mentioned above, the adventure starts right after the magical performances, the red carpet, and drinks. This all happens in the early afternoon (around 3:00pm approximately since the train must depart at 3:30pm). These trains are on time since it is protocol that they do not delay other trains. Now, Welcome Aboard! Next, you receive the key to your room. Get yourself comfortable after meet your butler (room assistant). Once you’ve unpacked, and get settled in, you can take a nap or just enjoy the luxury. I decided to relax by going for a drink in the Gateway car (bar) accompanied by varying delicious appetizers and snacks. Later on, dinner is served. This is usually around 7:00p.m. All the while, the train has left the station and your true adventure begins. What’s the next stop? 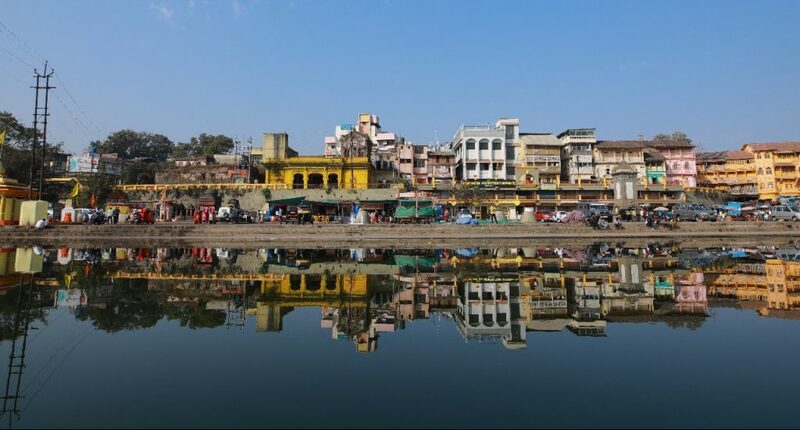 Nashik is an ancient city known as one of the Holy cities in India (for being one of Hindu pilgrimage sites, that of Kumbh Mela, which is held every 12 years) and it’s also known as The Wine Capital of India. This was our first stop of the train journey aboard the Deccan Odyssey. As a wine enthusiast, I was totally looking forward to visiting this city in order to learn about the wine and, of course, to taste them! But Nashik totally took me by surprise and became one of my favorite cities visited along this journey. Not only because of the wine, but mainly because of the people and the spirituality you feel while visiting there. Another plus, I felt totally safe wandering around the streets of Nashik. It was such a traditional, off-the-beaten-path, place with no tourists around (just the train passengers) and locals. The locals were so sweet and so excited to see us there. They smile and try to interact with you (even if they don’t speak a common language with you). The city felt so mystical with the older ladies creating flower garlands, and other offerings, for religious ceremonies on the Godavari river. 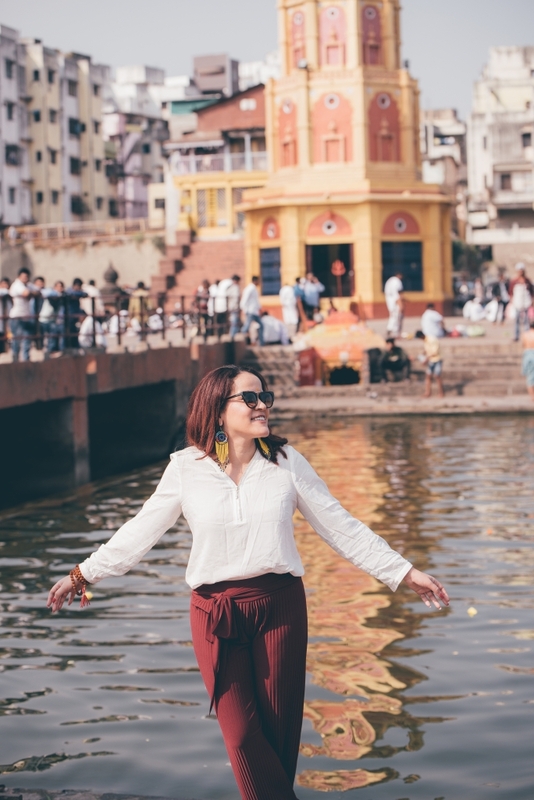 Many people come to Nashik on Spiritual Journeys, similar to other places in India, like Rishikesh or even Varanasi (where people come to spend their final days or to die in the Holy Ganges river). The temples of Nashik are also famous and highly visited by locals for spiritual walks and sacred religious rituals. As I mentioned, besides being such a holy place, Nashik is also the Wine Capital of India. 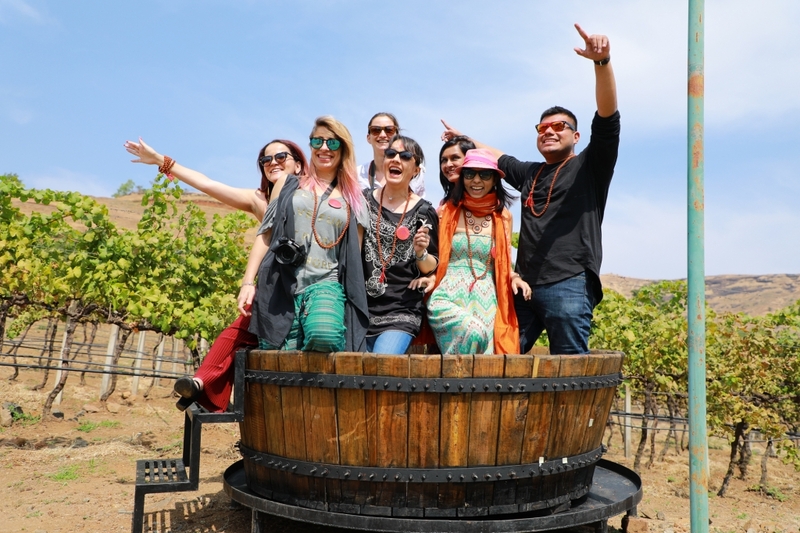 As part of our train itinerary, we also got to visit one of the famous Nashik Vineyards. 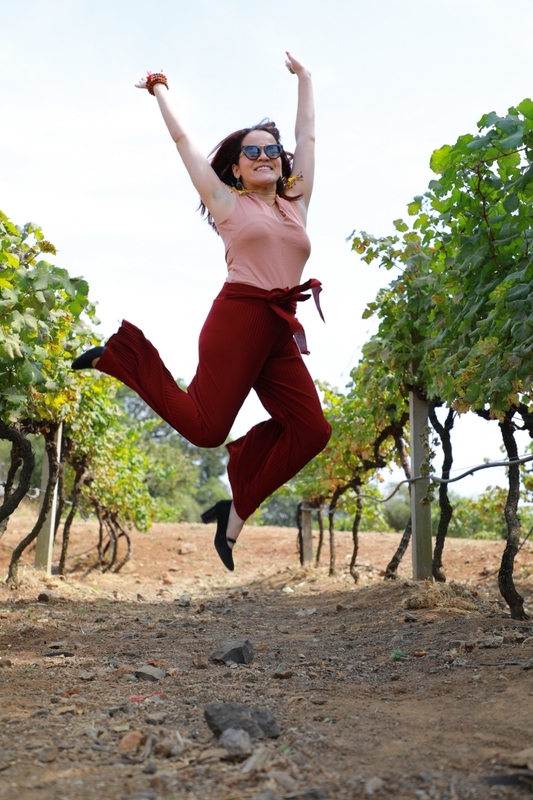 We went to the Grover Zampa Vineyards for a wine tour and, as you imagine, they welcomed us with one of their sparkling wines, an amazing lunch and then gave us a tour of the vineyard. It was the perfect time to visit, a beautiful sunny day, not too hot, not too cold, and the grapes were almost ready for harvesting. 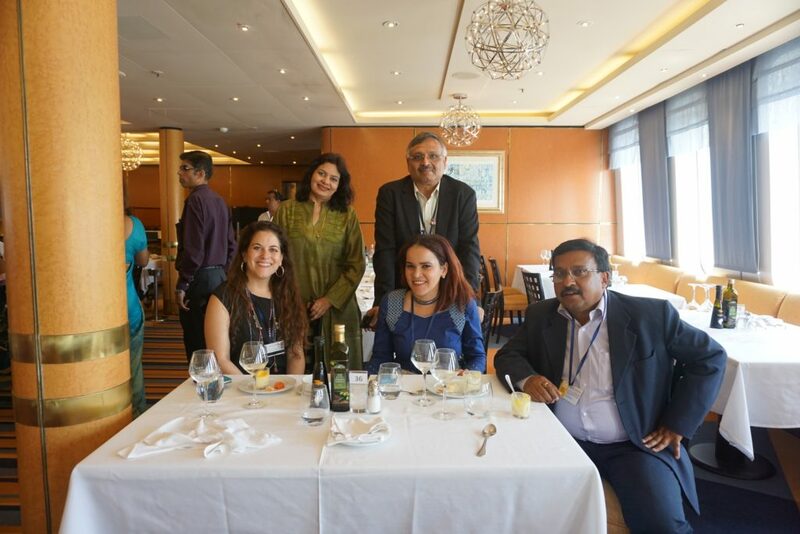 The wines were delightful and a total surprise for most of us since we did not even know much about Indian wines before this visit. Definitely pay a visit to Nashik! It’s an amazing city. 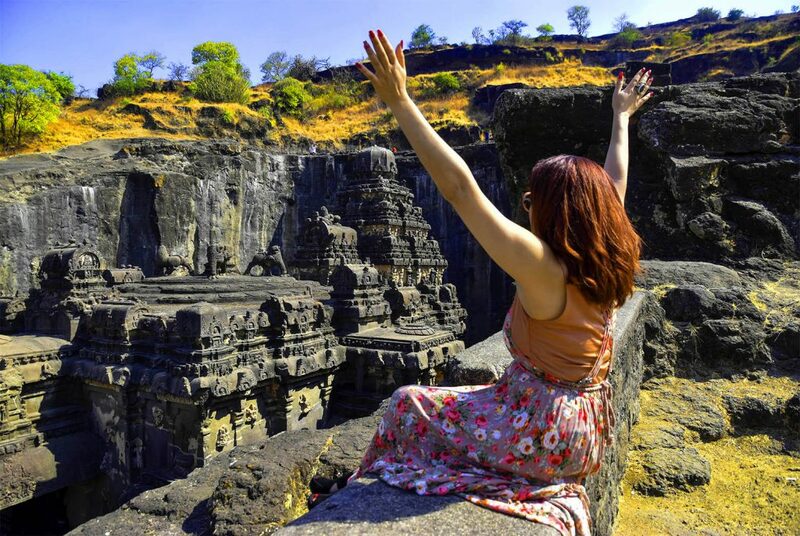 Another place that I’d never heard about, but that I’m totally ashamed I didn’t know, is the Ellora Caves. 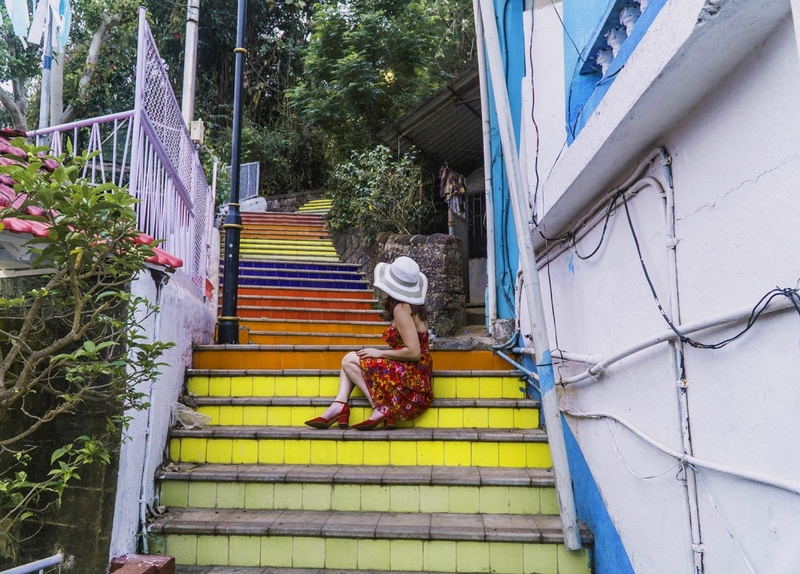 Before this trip with Incredible India, I had never even seen an instagram photo of this place. 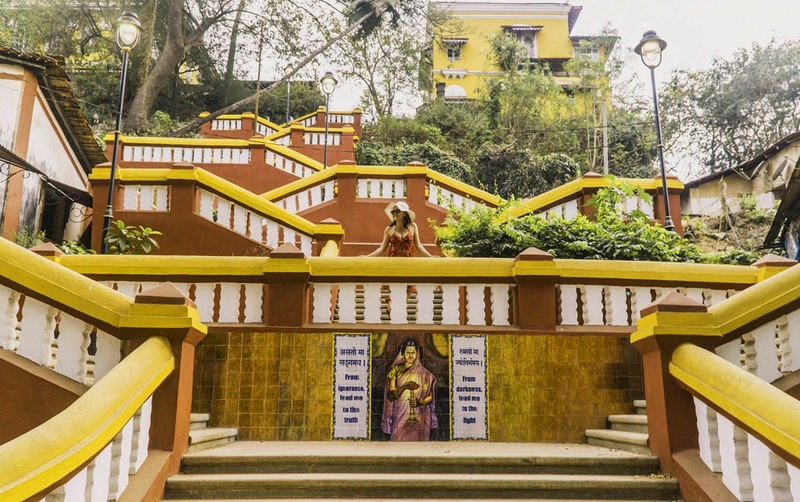 The caves are one of the largest rock-cut monastery-temple cave complexes in the world, and it was the first UNESCO World Heritage Site announced in India. 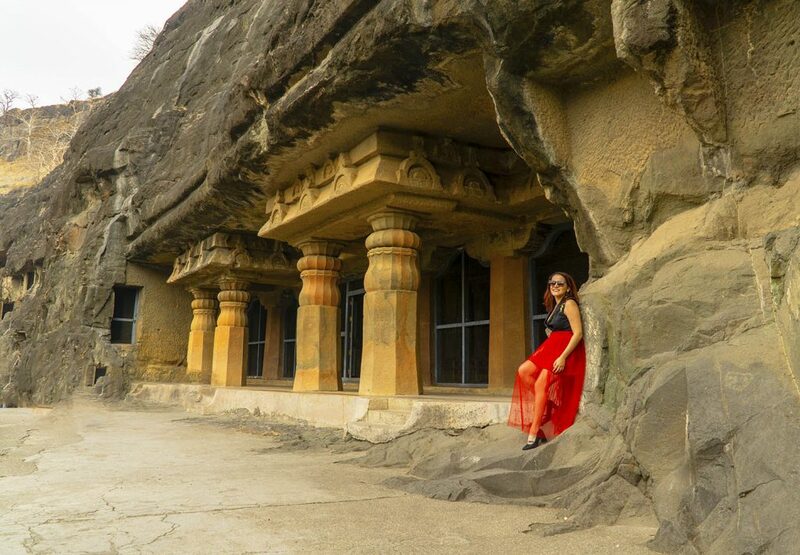 The caves feature Buddhist, Hindu and Jain monuments and artwork dating from the 600-1000 CE period. It’s aesthetically beautiful and truly majestic to see. This was one of the places that I wish that we’d had more time. While I got to explore more of the outside and the wonderful views from the top, I didn’t get to explore the cave, as much as I would have liked, on the inside. The good news is that our next stop on the train ended up satisfying my curiosity, by being larger and having lots to see on the inside; and not only one, but 29 Cave monuments. It was like a bigger version of Ellora Caves, so it was not so bad after all. I got to save some energy for the next day. Note: I would still suggest for you to see both caves. They might be similar but they are different at the same time. Totally worth it! 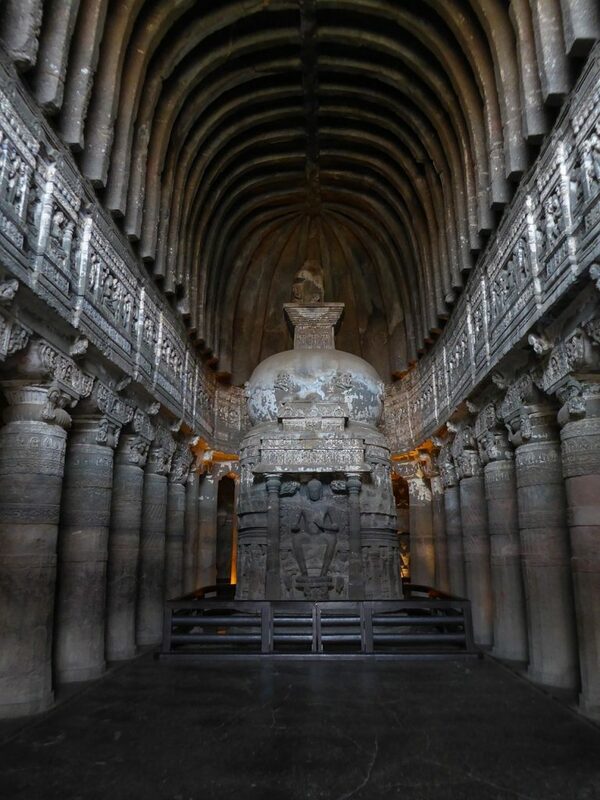 The Ajanta Caves, located in the Aurangabad district of the Maharashtra State, was our next stop. As I mentioned above, Ajanta Caves (1 of the 36 UNESCO World Heritage Sites in India) have about 29 rock-cut Buddhist cave monuments, which date back to the 2nd century BCE to about 480 CE, and includes one of the oldest wall art collections in the world. We went there on a pretty hot day and it was only February. I would suggest that you bring water to keep yourself hydrated. It’s quite a walk around but totally worth it. If you don’t like walking too much, or can’t walk as much, they have helpers there who will carry you around like a Queen or King (for a fee) and wait for you at each cave. What is there to see at Ajanta Caves? Ajanta caves features impressive paintings and rock cut sculptures described as among the finest surviving examples of ancient Indian art. 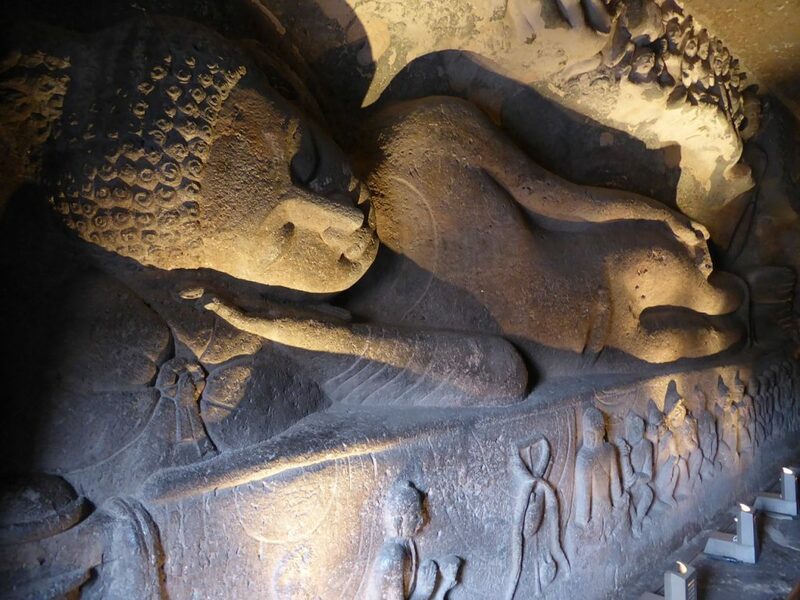 I personally loved the giant sleeping Buddha in Cave 26 but there is so much more to see. The caves have numbers and there are some which are more impressive. It’s better if you walk all the way to the end and start from there, while making your way back to the beginning. This way it is easier to capture amazing shots with less people. The wall paintings are so expressive that you will notice how each sculpture/monument captures you with its gestures, poses, shapes and form. 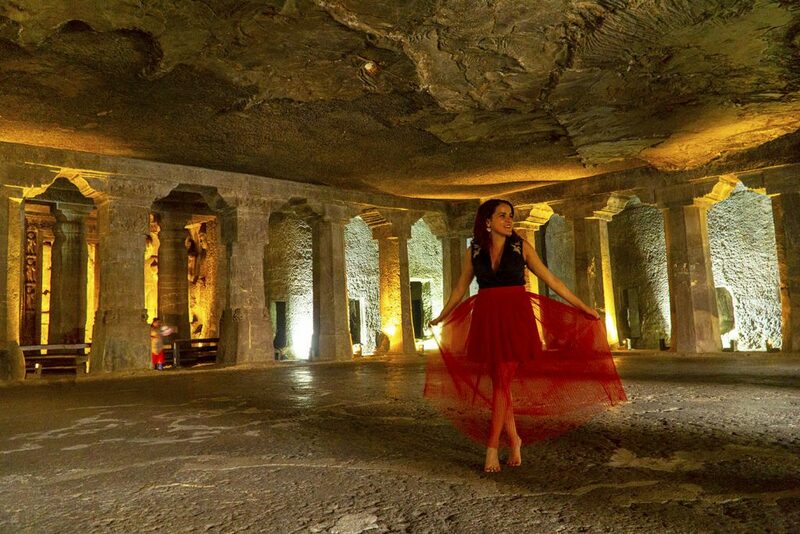 These caves are truly impressive and uniquely beautiful! A must-see while in this area. 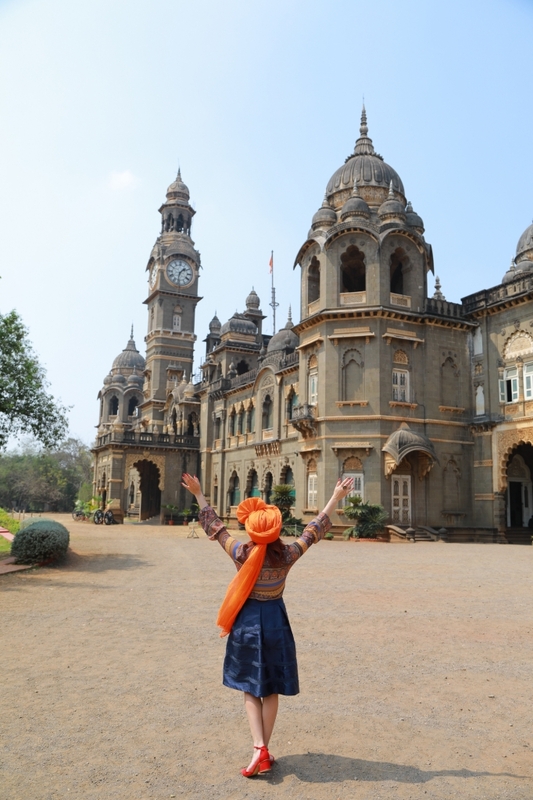 One of my highlights, and definitely my favorite city in the Maharashtra state, was Kolhapur. 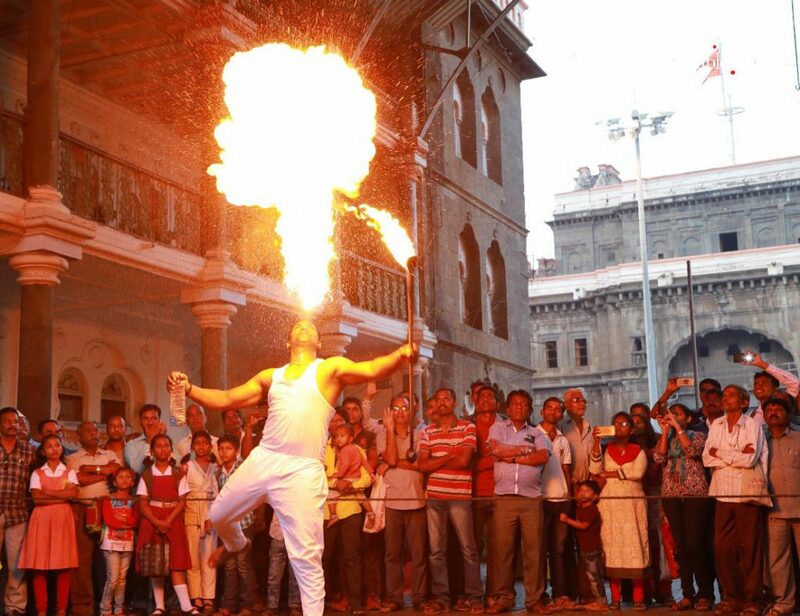 Kolhapur wasn’t only the most colorful city ever formed, from beginning to end, but it was again an unexplored, off-the-beaten-path, location. There were no tourists (only us) and it has a little bit of everything, something for everyone. 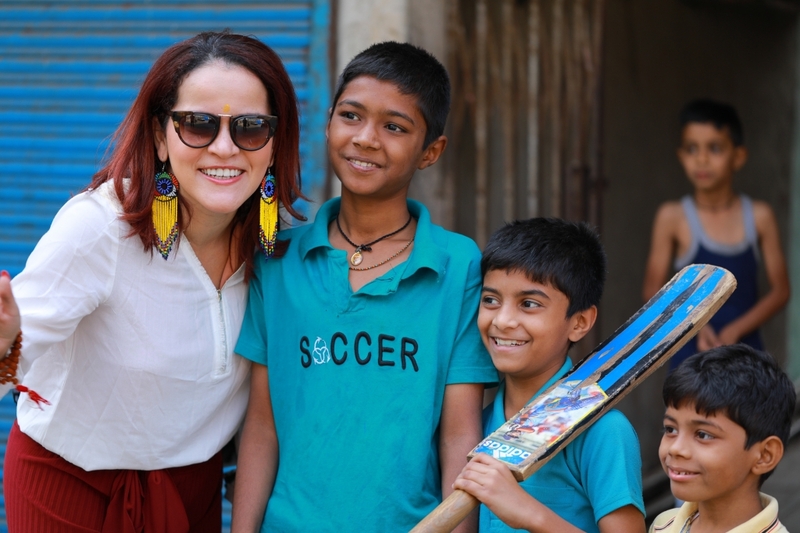 In just one day, we saw a variety of presentations; from the musical and dancing performances, including a special traditional martial arts performance, to eating traditional food, to the fashion of the colorful sarees around the streets, to the shopping, and interacting with the the most humble/sweet locals – I didn’t want it to end. We started the day by visiting the New Palace Museum. It is a very cool building, which was built in the ninth century. In the gardens, there were trees full of bats, so we were entertained trying to capture a picture and admiring the surroundings. After this visit, we went to the Town Hall Museum with a Neo-Gothic Style architecture. Personally, this was one of my favorite buildings aesthetically speaking. We took so many pictures with locals, including with some school kids that came to visit the museum that my face hurt from so much smiling. After that, there was time for shopping! And this was totally a woman’s paradise. 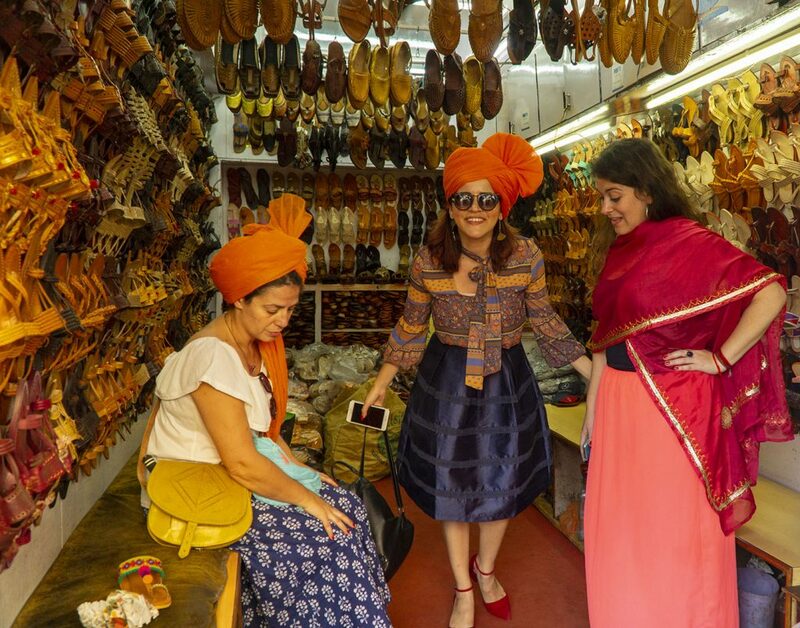 We went to a local shopping street full of Kolhapuri Chappals (famous Kolhapuri Traditional Shoes). We saw a live demonstration of how local artisans handmade these leather shoes, from the beginning to the end where they are polished. They are super cute (such a shame that they are flat…none with heels). As you might not be familiar with my story, but I have a condition in my legs (a short Achilles tendon), so I cannot walk in flat shoes, hence my blog, Dreams in Heels, was born! Anyhow, I still found something else that Kolhapur is famous for that I could use, a Kolhapuri Traditional Saree. They are so beautiful with unique prints/colors, and super budget friendly. 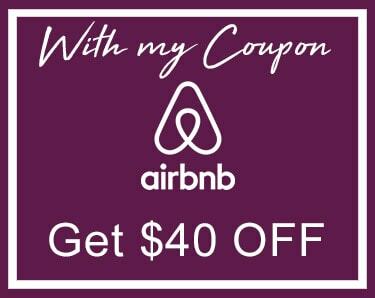 You can get a nice one starting from $15 and up. It all depends on the quality, the fabric, style and more. The real silk ones are more expensive and, of course, the more details on has, the more expensive it is. I have to say that shopping in Kolhapur is just amazing and full of options. So nice to find style in every culture and embrace it. We also got to visit the famous Mahalakshmi Temple in Kolhapur. It is a very historic and sacred temple that dates back to the year 1300. Other than shopping, my biggest highlight from Kolhapur was witnessing a traditional martial arts performance called Mardani Khel. It was truly impressive to watch. You can see the whole family from adults to kids performing. There was fire, swords, amazing martial art moves, music, colors, etc. It is just something very hard to describe because it’s just made to be experienced. Note: This was arranged especially for the people aboard The Deccan Odyssey and we had seats in an open space. There were locals looking at the presentation too. Just wow! 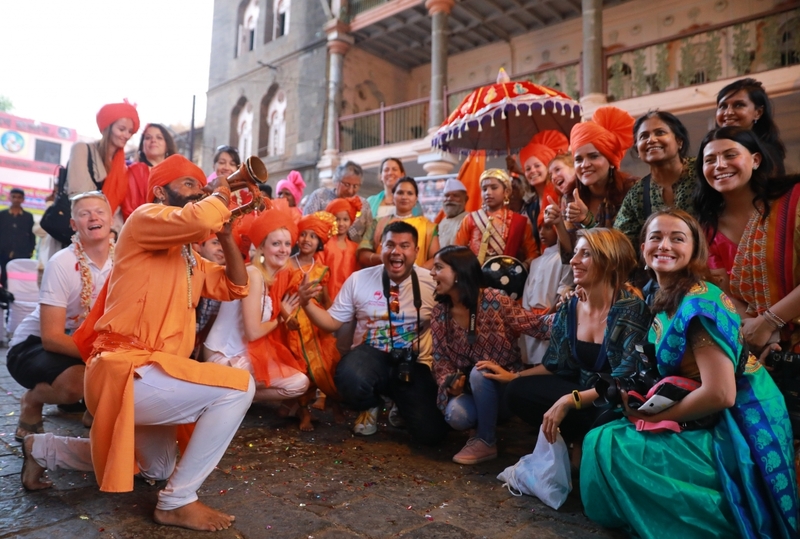 My visit to Kolhapur was so magical that I decided that the Instagram takeover, that I had scheduled with the Matador Network, would be from this city (I was able to choose which of the 8 days aboard The Deccan Odyssey I wanted to highlight). 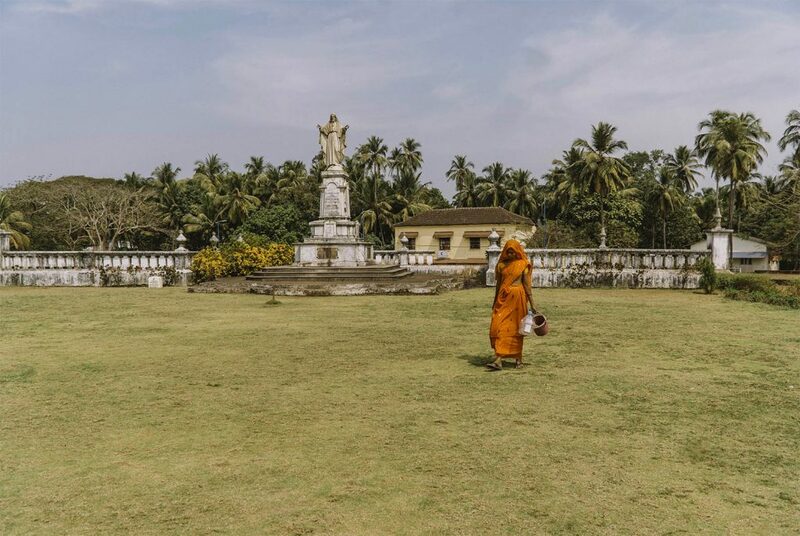 The Matador Network has over 200k followers and I was able to showcase the beauty and colors of Kolhapur. Definitely my kind of city and I could not get enough of it, so I hope to come back some day to explore it a little more and to do more shopping as well. Our stop in Kolhapur was longer than others. We were there until the early evening. You wonder what is the distance to our next stop, Goa? Goa is approximately 4 1/2 to 5 hours away from Kolhapur. 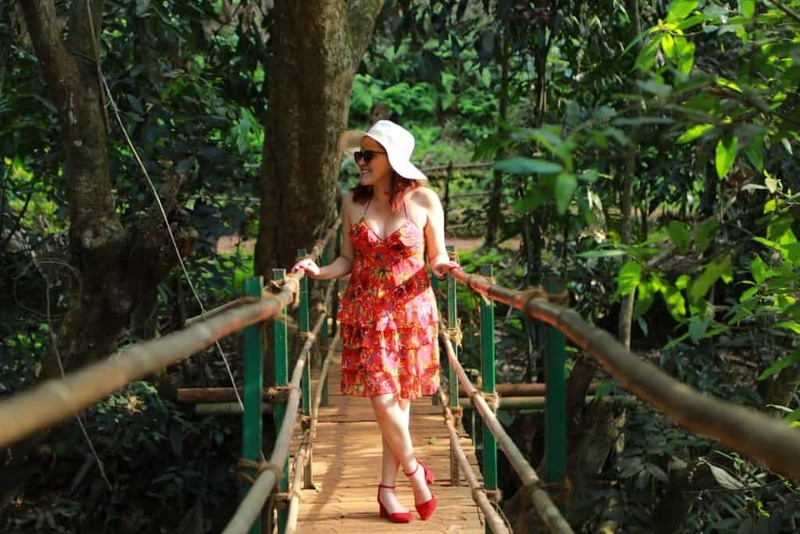 I’d previously heard so much about Goa that I was truly excited to visit it. Goa is known for having an amazing Portuguese influence since, until 1961, they were a colony of Portugal. I enjoyed walking around and finding traditional Portuguese bakeries with Pastel de Nata and other amazing pastries. The streets looked a lot like those in Europe. Lots of charming houses and colorful, cute buildings. 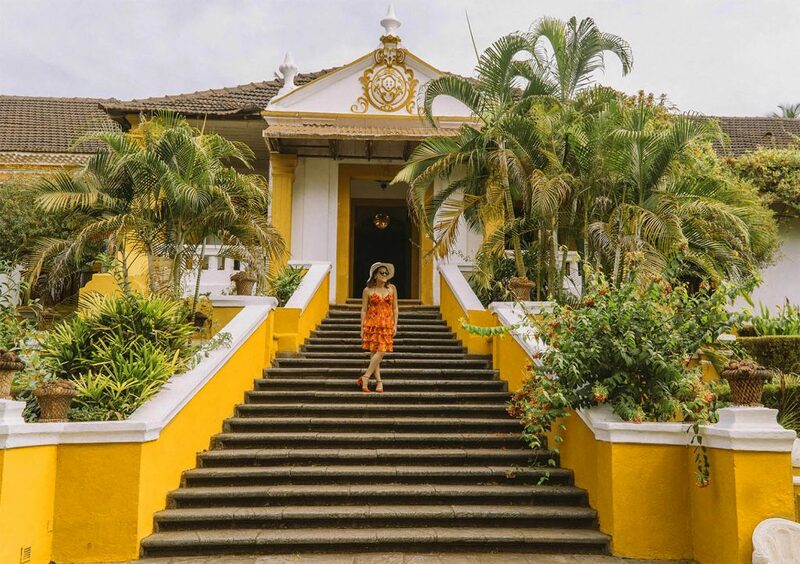 Speaking of charming houses, we got to visit a historical Portuguese Colonial Mansion (which now is a museum) called Palácio do Deão located in Southern Goa. We stopped here for a tour with the owner followed by coffee/tea and hors d’oeuvres. A wonderful surprise off-the-beaten-path was discovered as we traveled to the Portuguese Colonial house; we spotted this rice plantation from the window of the bus. We asked the driver to stop in order to admire the beauty of nature and glimpse the daily lifestyle of the rice plantation workers. The beautiful pictures speak for themselves. 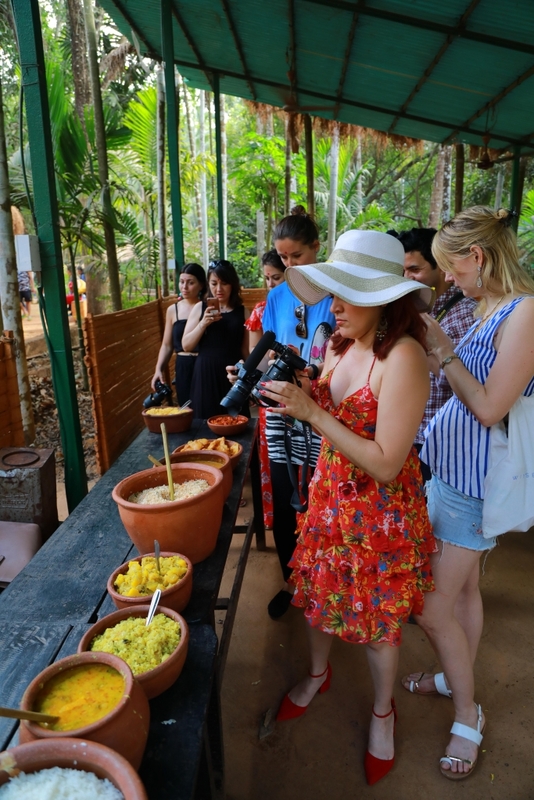 Next stop was a Spice Plantation, the Sahakari Spice Farm, which is located at Curti, Ponda in Goa, India. While there, we toured the plantation, learned about different spices and the guide also gave us valuable information on each spice (including its medicinal value). In addition, we had the opportunity to see a demonstration about how locals climb bettle trees and jump from one tree to another. Just incredible to watch! The highlight, especially for foodies like myself, was having a delicious traditional Goan lunch, including Feni (a delicious, Goan alcoholic drink). I must admit that it was one of the most tastiest lunches that I enjoyed while visiting India. Definitely consider buying fresh spices to take home for yourself and/or as gifts. 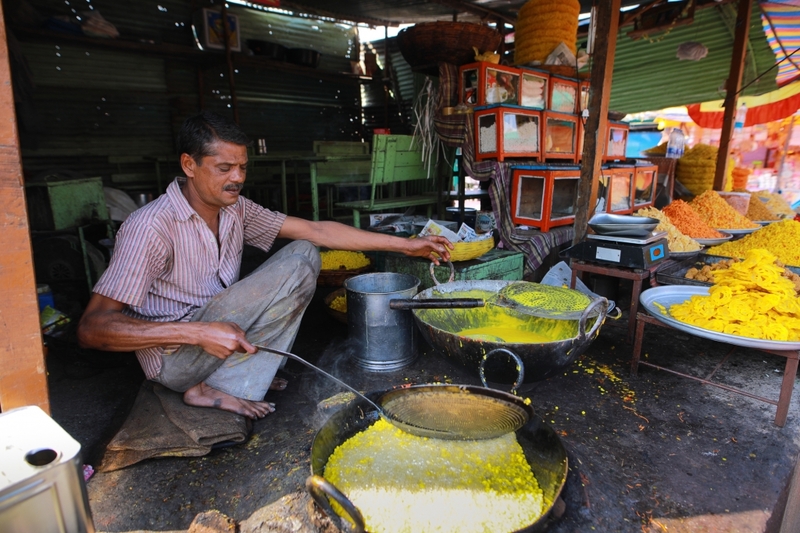 Fun Fact: Did you know that India is the world’s leader in the production and export of spices? This country is responsible for growing more than 50 different kinds of spices. Actually, India accounts for about half of the world’s trade in spices; it supplies more than 150 countries, although most of the production is being sold on the domestic market. Who knew? After this, we went to visit the famous Old Goa, which was the Capital of Goa in the early days of Portuguese ruling. Did you know that the largest church in Asia is located in India? Its name is Se Cathedral and you can find it in Old Goa. Although construction began in 1562, its structure is still well maintained and holds a lot of historical significance and value. There are three notable features not to be missed – The Golden Bell, the chapel of the cross of miracles and the ornamental screen behind the altar. Note: Cover your knees and shoulders to be able to enter and enjoy this famous church. Since we were visiting many places on that day, I didn’t dress properly so I was unable to go inside. Learn from my mistakes if you are interested in seeing the interior first hand. Across the street from Se Cathedral is the Bom Chapel of Jesus. 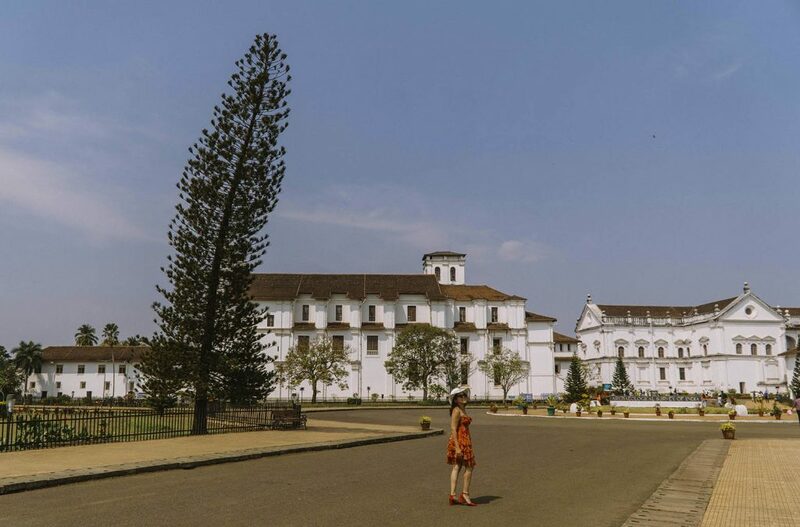 Another great place to visit because it is considered to be one of the best examples of baroque architecture in India, is the Basilica of Bom Jesus or Borea Jezuchi Bajilika, (in Portuguese, Basílica do Bom Jesus) which is also a UNESCO World Heritage Site. 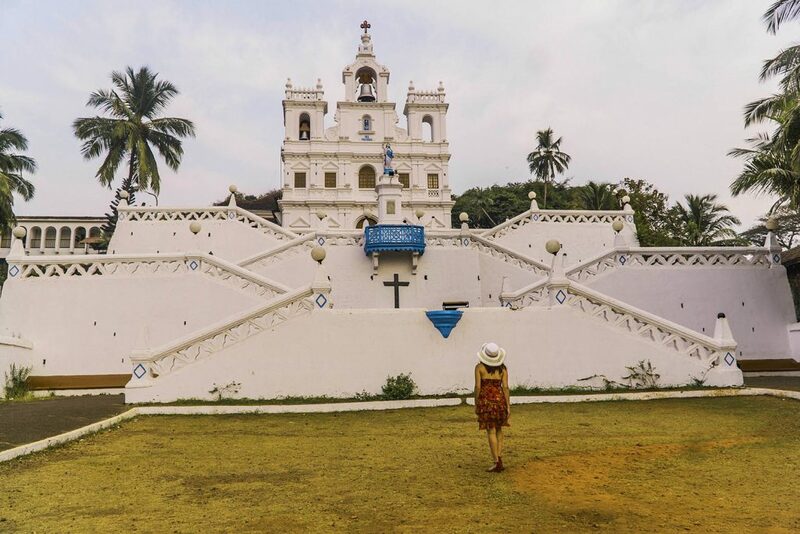 History 101: The colonial Portuguese Baroque style church was first built in 1541 as a chapel on a hillside overlooking the city of Panjim. 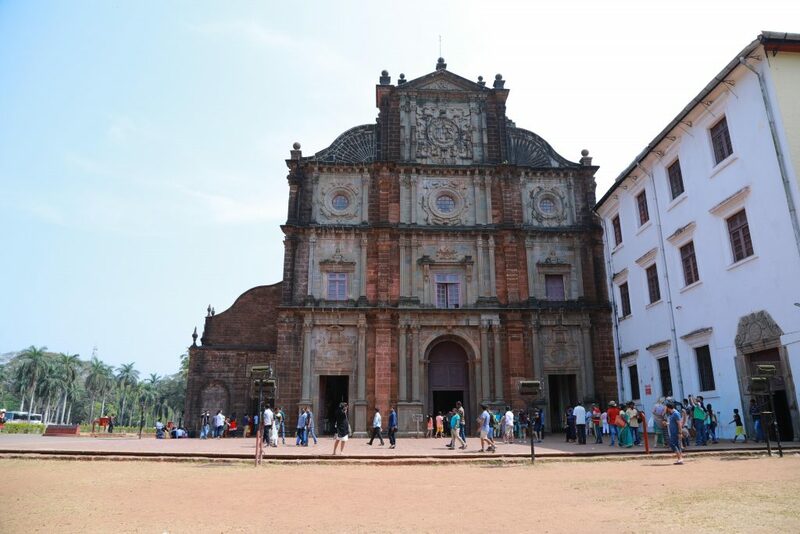 It was eventually replaced by a larger church in the 1600s, as part of Portuguese Goa’s religious expansion. This church houses the ancient bell that was removed from the Augustinian ruins of the Church of Our Lady of Grace in Old Goa. This bell is considered to be the second largest of its kind in Goa, surpassed only by the Golden Bell which resides in the largest church in Asia, Sé Cathedral also located in Old Goa (previously mentioned). Whether you are very religious or not, you will be sure to enjoy the historical and architectural significance of these beautiful buildings. 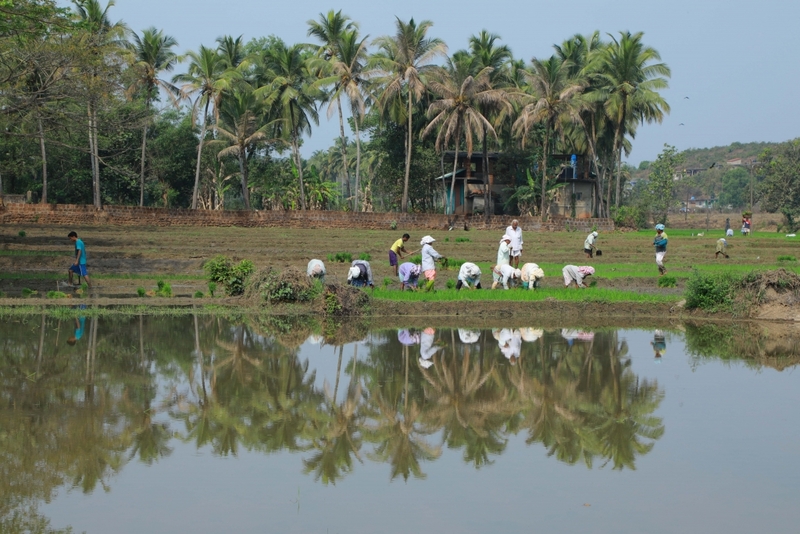 Our Sindhudurg district stop, in the state of Maharashtra, was another special day. 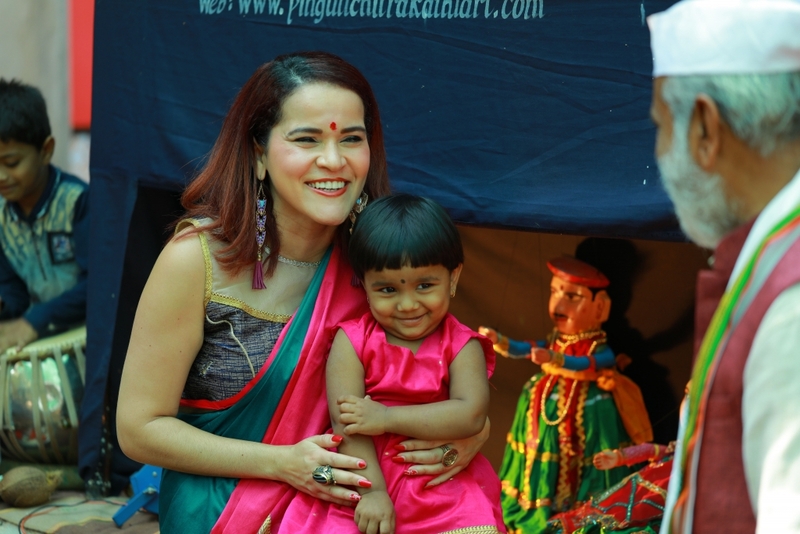 First, we stopped by the Village of Pinguli in Sindhudurg district, in the state of Maharashtra, where a little girl was the showstopper (she stole my heart and the show!). She was one of the cutest little girls ever, just smiling, throwing kisses and dancing. Ironically, our outfits matched, color-wise. A little travel fashionista in the making! 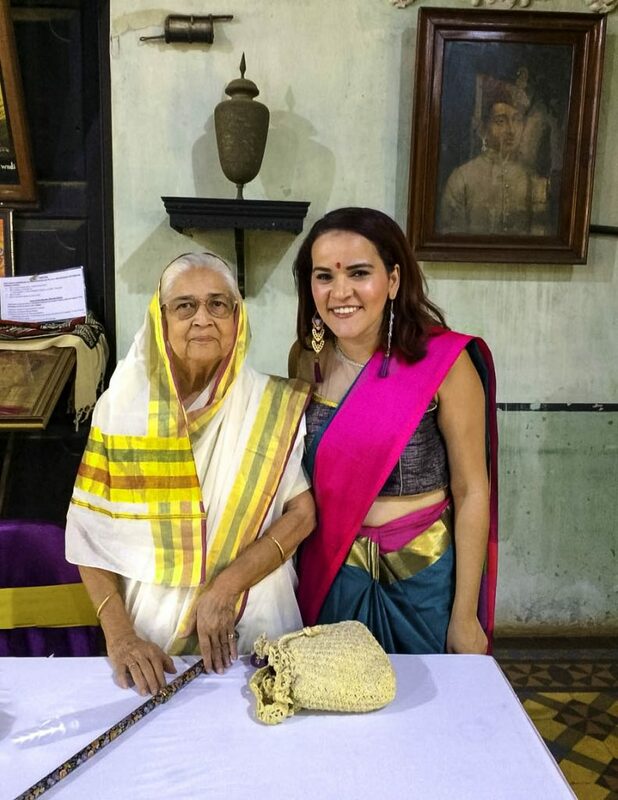 I was actually wearing the Kolhapuri Saree that I got in Kolhapur and a lady from the indigenous tribe of Thakars, helped me to put it on properly. It takes some serious skills to wrap the saree on the right way, no joke. Well, we visited this village to learn about the traditions and artwork of the indigenous tribe, Thakars. We even got to meet their musicians, storytellers and puppeteers while also enjoying the show. 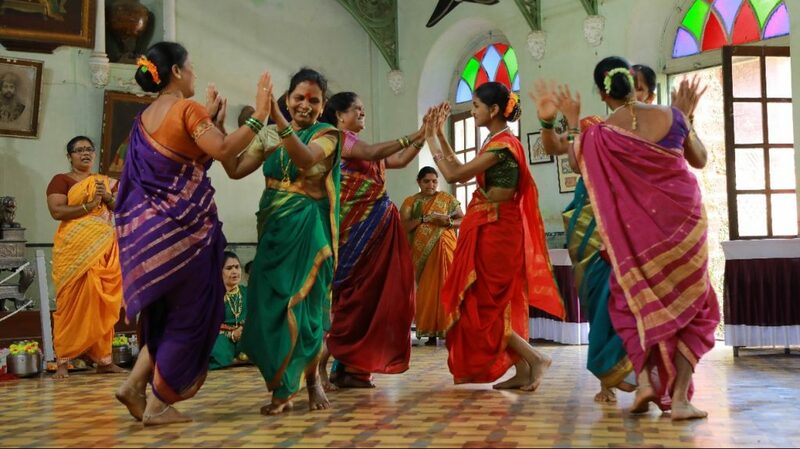 After lunch, we got to enjoy a lovely dance performance by beautiful women dressed in sarees. Their moves were amazing, and I got to learn some first-hand, along with my work out for the day, by joining them to dance. A wonderful and unforgettable experience! About Sawantwadi Palace: It is the historical home of the Royal family of the Sawantwadi and it was built more than 300 years ago. Conveniently situated on the main Mumbai-Goa Highway, it’s definitely worth it to check it out. 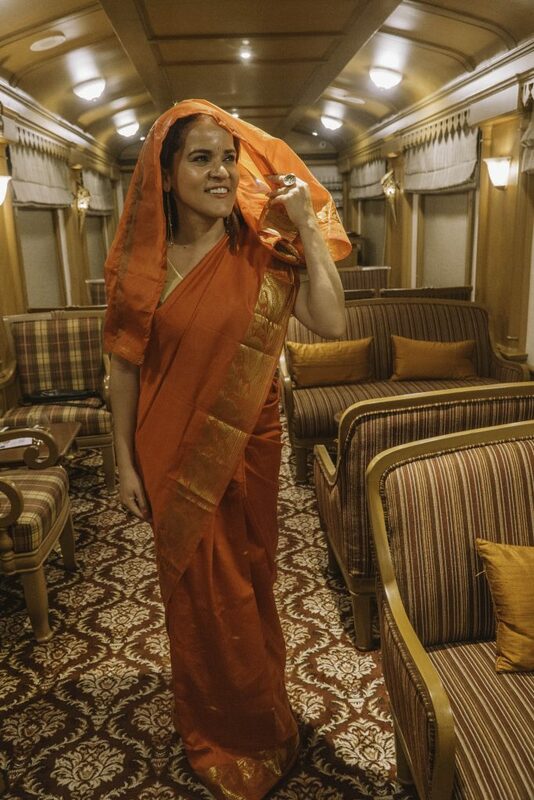 Afterwards, we returned to the train to find a special surprise on our beds: A traditional saree for the women and a kurta for the men. And it was just in time for Bollywood Night on the train! This is one of the best activities of the trip. They set up the room with special lights, have a DJ, and you get to drink, dance and even the train crew joined in and showed us their best moves (aboard The Deccan Odyssey). What a delightful and unforgettable night! 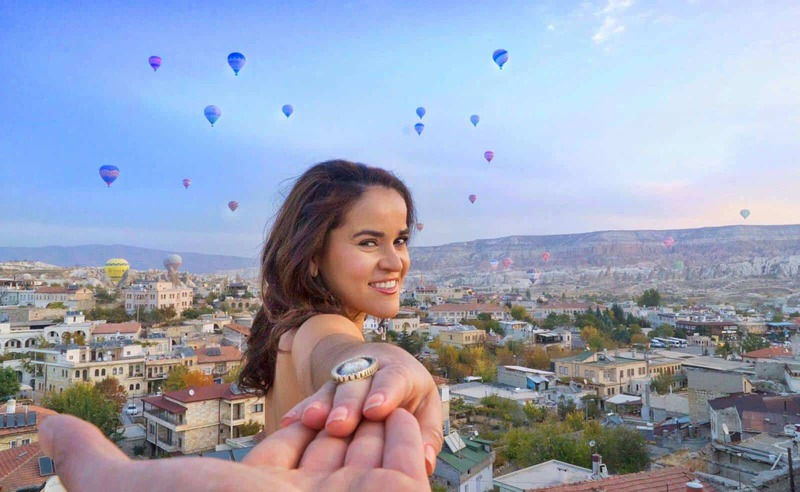 A once in a lifetime kind of trip. It really was a fun way to wrap up this amazing trip! Time for goodbyes. On this day, we packed up, gave the luggage to our cabin assistants and just enjoyed our breakfast. Then it was time to say our farewell to all the staff of The Deccan Odyssey, that by now had become more like friends or family, so it was that much harder to disembark this train for the last time.Luckily, we had another tour of Mumbai planned by the staff from Trinity Tours and immediately after that, we went to spend the afternoon on the famous Italian Costa Cruise, with the Ministry of Tourism of India, and enjoyed an amazing lunch, discussed our thoughts and experiences aboard the Deccan Odyssey, followed by more farewells. 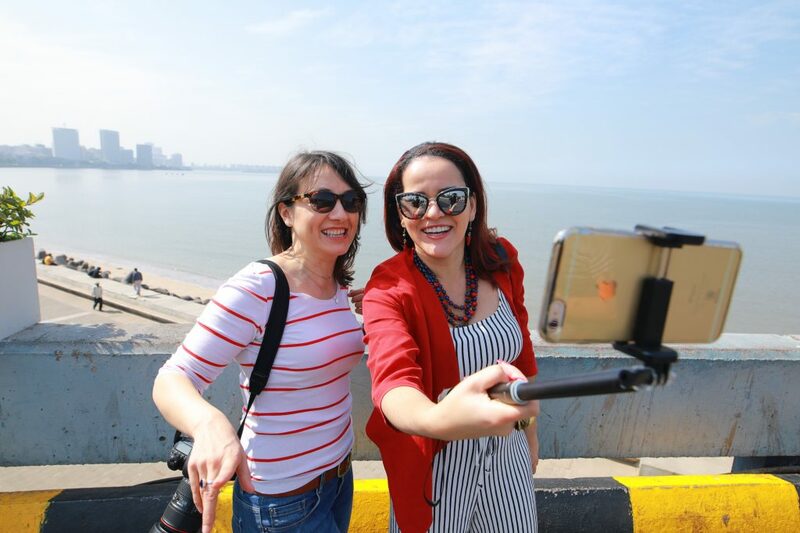 Mihaela from Worldtravelbug.com and me sightseeing around Mumbai with Trinity Tours. Actually, Costa Cruise also announced their new route between India, Sri Lanka, and Maldives. I would welcome the opportunity to get to explore this route next! The good news, the luxury still wasn’t over because we had a final night staying at the famous five star hotel, The Oberoi in Mumbai. Can you guess how difficult a transition that was from the luxury train and went back to my normal life the next day? It was rough. But I had a fantastic dinner at the hotel (with lots of dessert), went to the pool to watch the sunset and then came back to my room and had an amazing bubble bath in a beautiful, luxurious bathtub. If I’m being honest, it felt so good that I ordered room service for breakfast the next day and I couldn’t resist taking another bubble bath while drinking my mimosa. It was the most relaxing way to end this fabulous experience, while soaking and reflecting about the last few weeks. Inspired, I began immediately to write about my first experience in India, traveling in style, aboard one of the top luxury trains in Asia: The Deccan Odyssey…. my life will never be the same again! Other frequently asked questions about train travel. How much approximate is the train cost? 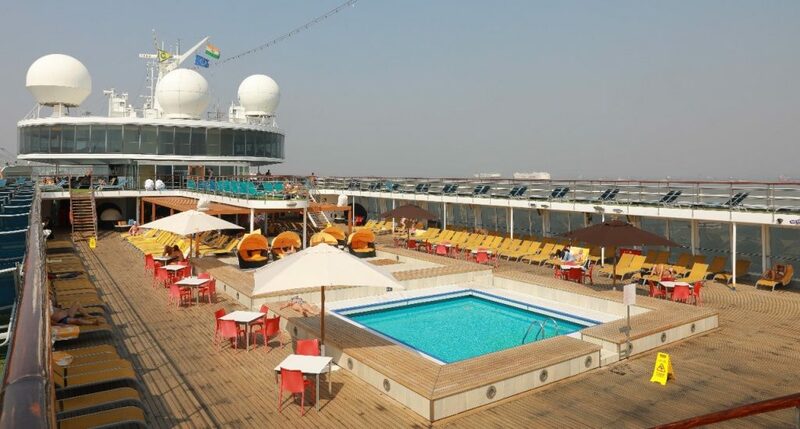 Prices start at USD $6,100 per cabin based on double occupancy (which calculates to approximately 1000 dollars a night) including transportation, meals and entertainment, but does not include gratuity. There are certain other things also excluded from this cost (see a summary below). Train travel might not be cheap, but totally worth it for all that you get in return. As I mentioned previously, you get to see a lot in a short amount of time. You are also saving money by not having to check-in/check-out of hotels, pay taxis, meals, site fees and more. Also, you don’t need to hassle over planning itineraries…all is readily arranged for you, including unique, one-of-a-kind experiences. Lastly, your in safe hands, who treat you like royalty. Some good things in life cost a money. You pay for what you get and luxury ain’t cheap! What is included on the train cost? Overall, I totally recommend to everyone that living lavishly aboard the Deccan Odyssey for 8 days/7 nights is a totally, life-altering unique adventure, while also being a great way to see and experience a lot of India, in a short amount of time. Train travel never looked so glamorous! 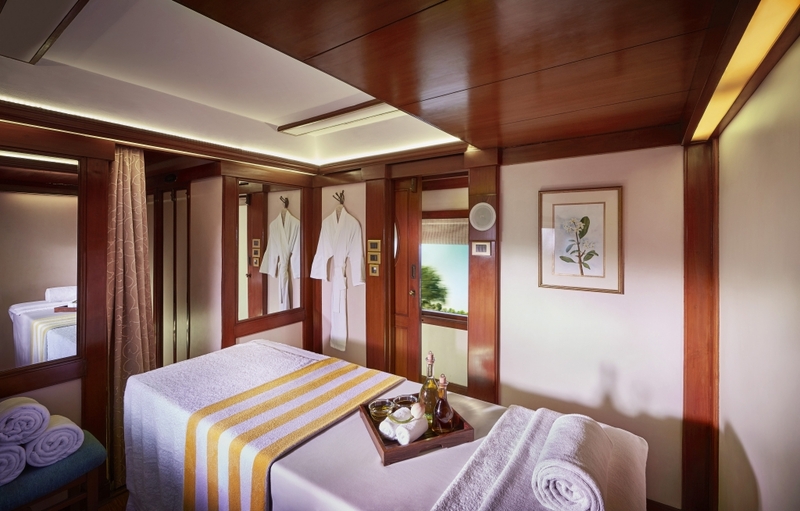 It’s a total luxurious and amazing experience. The only downside: How can anyone return to a “normal” way of traveling again? 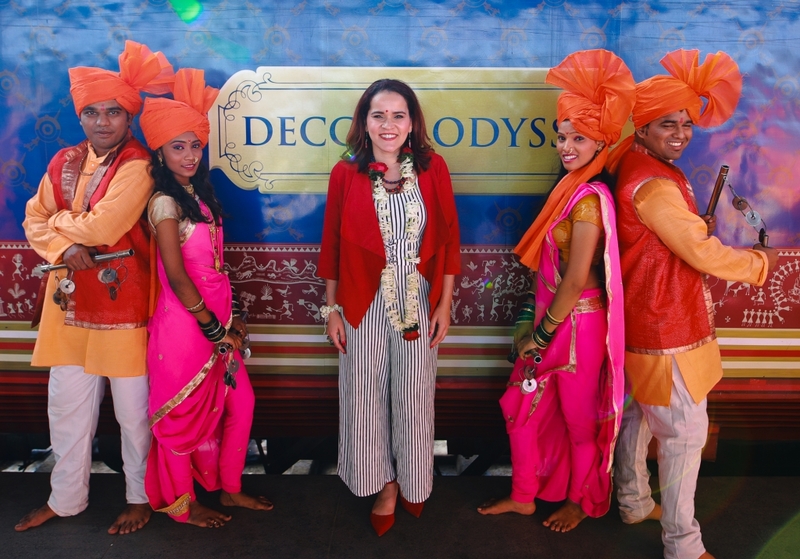 Special Note: Thank you to The Deccan Odyssey and Incredible India for hosting me on this trip. I truly fell in love with the Maharashtra Splendor train route. As always, all my opinions are my own. That looks absolutely spectacular – thanks for sharing your experience! Thank you for reading and commenting. The experience was wonderful. I did gain some kilos, lol. I ate so much. Food was so delicious. What an amazing experience! 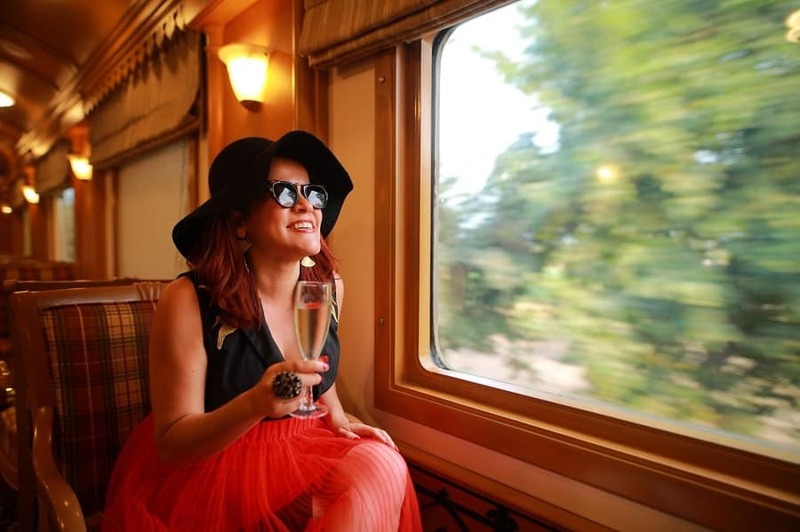 I would love to go on a luxurious train trip like this one day 🙂 Your photos are gorgeous! Thank you! I hope you can. It is an unforgettable experience. Wow! I can definitely see why this train trip is so expensive, it is splurge-worthy. 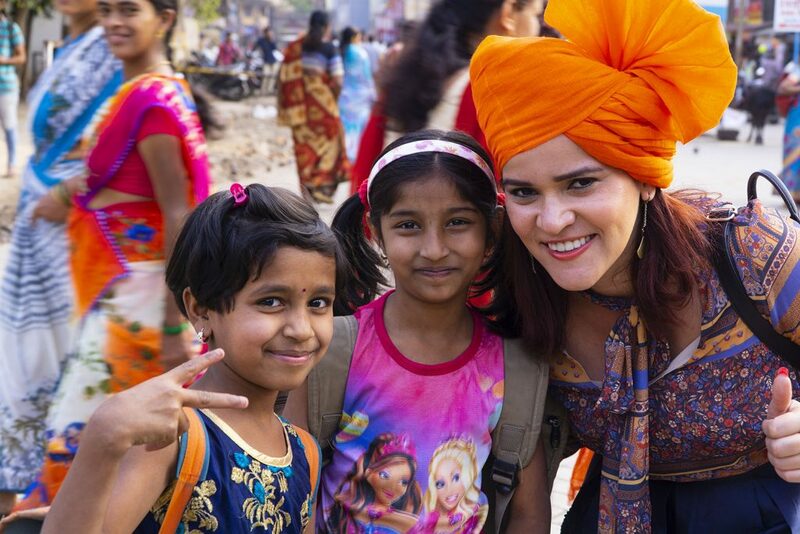 I loved your pictures, they really show how colorful India is! Awww thanks. I appreciate your comment. I definitely love the colors of India. Such an amazing country! Awesome..This is truly luxurious and royal. Now there are quite a few luxury trains in India running on different routes. Wish to travel someday. Yeah there are several, but this is definitely the most luxurious train in India. It was such an amazing experience! I highly recommend it.